Ah Spring is in full force in the nail world! I'm loving it. My favorite season for nails. 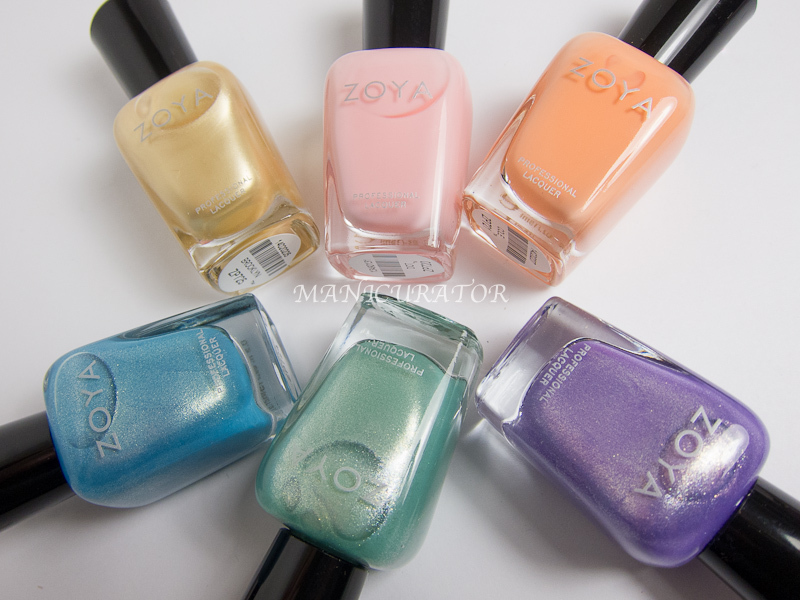 Lots of pastels with pops of color :) Today I have the brand new Zoya Awaken collection plus the extra Monet glitter top coat to show you. 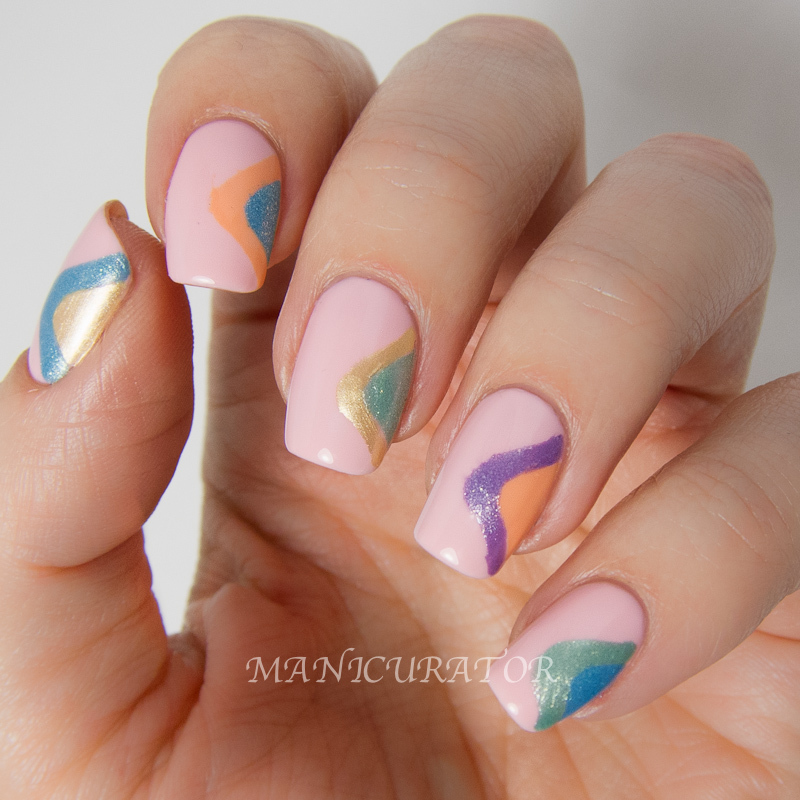 A semi quick freehand design using the entire Awaken collection. Read after the break, my thoughts and swatches of each shade. I love seeing how collection combine together. This turned out to be my favorite shade of the collection, and required the most patience to apply. The formula was hit and miss for me. A little on the thin side so it required some clean up from polish going where it wanted, not where I wanted. However, self leveling and very glossy. I needed FOUR coats to achieve full coverage. Shown here without top coat. The only other cream in the collection. Not my favorite on my skin tone, but still a lovely shade. Three coats and not quite as self leveling as Dot. No top coat here. 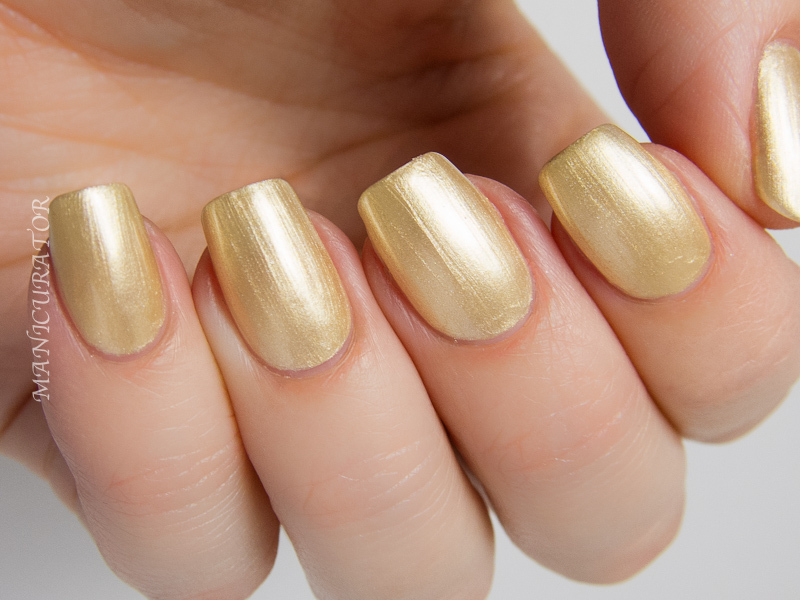 Zoya Brooklyn White-Gold Shimmer Metallic, Full Coverage Formula. 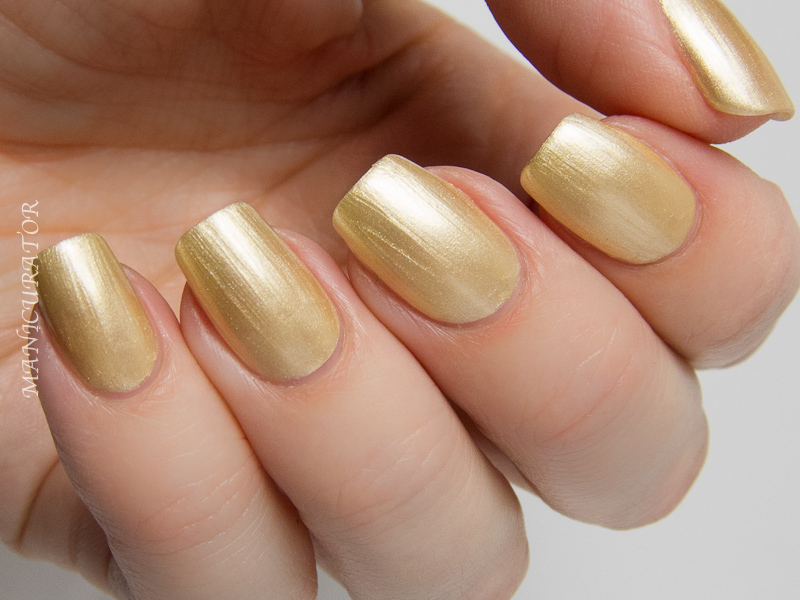 An interesting shade, a soft gold for sure. Two coats and good formula however, she shows brushstrokes for sure. All swatches are over Zoya base coat, Zoya top coat used here. Zoya Rebel Blue Sky Shimmer Metallic, Full Coverage Formula. First of the three shimmers in the collection I tried. 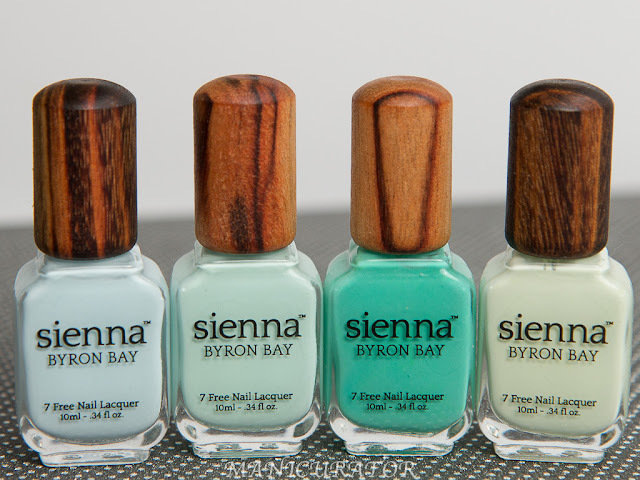 They all have same excellent formula, opaque in 2 coats, with very beautiful visible shimmer! Zoya Dillon Green Mint Shimmer Metallic Full Coverage Formula. Zoya Monet Multi-Color, Cellophane Holographic Topper. I've shown Monet over Cole in the above photo and over Brooklyn here. I love the idea of this topper and love it in the bottle, I don't think the shades I chose to put it over highlight it's prettiness well enough. My bottle was also on the thick side, so less is more on the brush when applying. Have you picked up any of these yet? 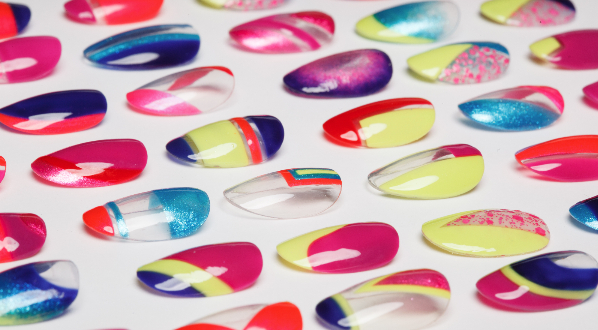 What's your favorite season for nails? 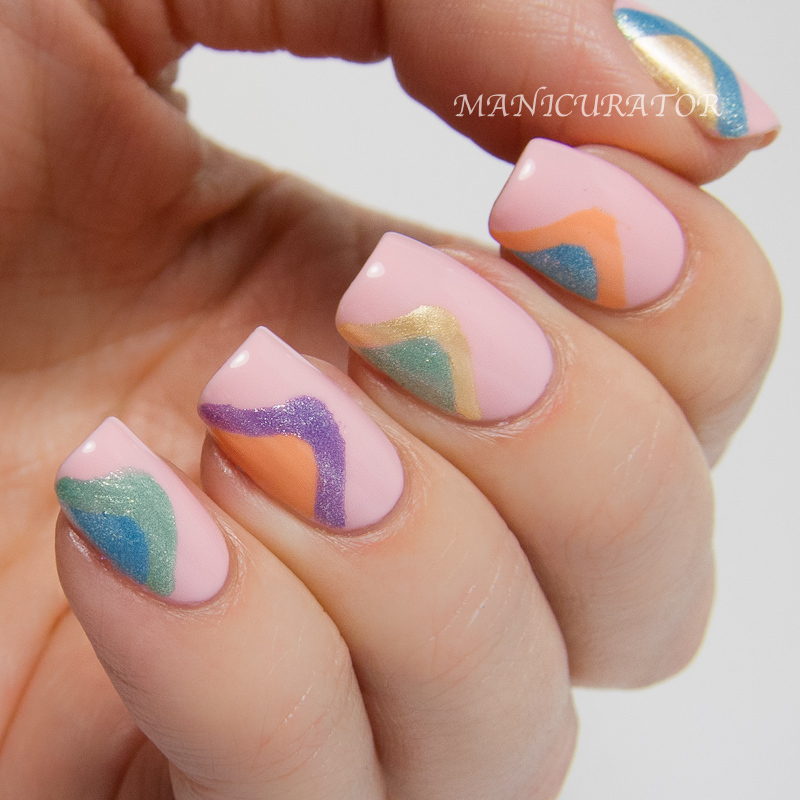 I love how you combined the colors for that groovy manicure! Fantastic swatches! Love the nail art! Too bad Dot is a 4-coater, because it's so pretty! I want Cole. I am loving that pink !!! I have Rebel and Monet. Just put on Rebel last night! I so wish I would have grabbed Dillon. SOOOOO pretty! Great swatches as always!! I had similar issues with Dot as well. Yayyy for spring. Can't wait! Just seeing all these bottles together made my heart skip a beat--they're so pretty! 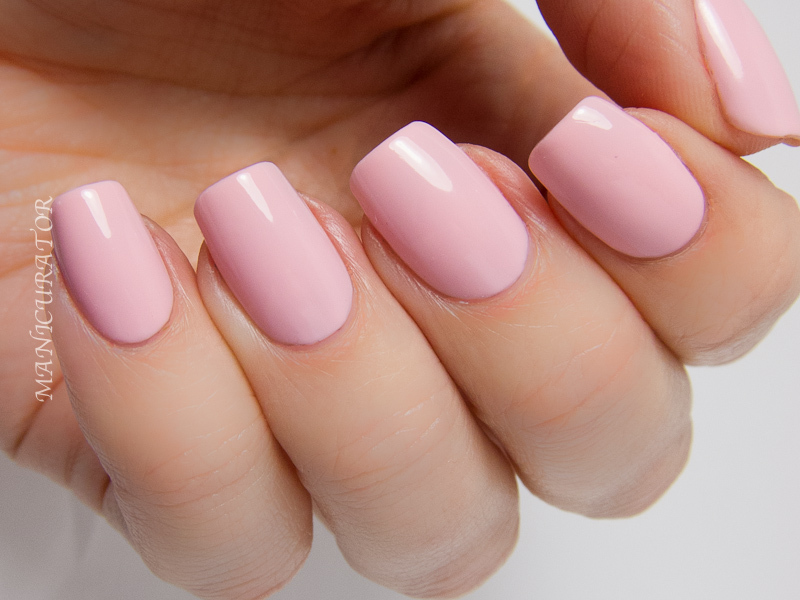 Really sorry to hear about Dot's formula because that soft pink is so sweet it makes me wanna melt. The shimmers are verging a little too far onto frost for me, but I for sure need to get my hands on Monet!